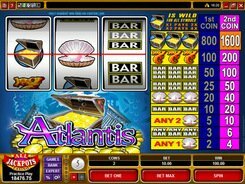 The classic Atlantis slot from Microgaming has 3 reels and 1 line only. Gamers will take a deep plunge into the ocean to find a legendary sunk continent. 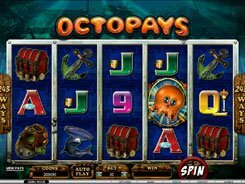 In this emulator, you will see a pack of underwater-themed symbols, such as seahorses, BAR symbols, clam shells, and treasure chests. 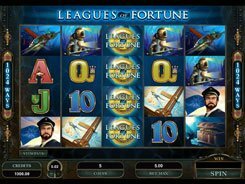 Winnings are paid for a combination of matching symbols created after the reels have stopped. Winning amounts are displayed in the paytable to the right of the reels. 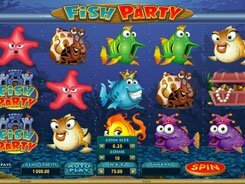 Before every spin you should place a coin bet, with a maximum number of two coins per spin. A coin size is adjusted from $0.25 to $5. The treasure chest being a wildcard is the most profitable symbol. Its first advantage is that it can substitute for other symbols to help you create winning combinations. Its second strength is that it multiplies the payout. 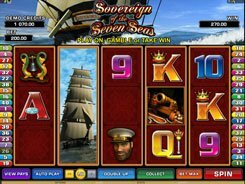 One treasure chest doubles the payout of any combination it completes. If you hit two treasure chests, your win will be quadrupled. 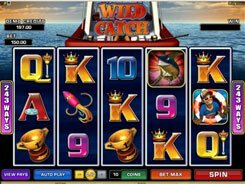 In addition, three wild symbols on an enabled payline give a hefty jackpot of 800 to 1600 coins, depending on the number of coins that you have wagered. Another high-value combination is formed by three seahorse symbols paying out 100 or 200 coins. 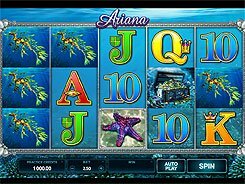 The remainder of the symbols pay out on a lower scale, yet they contribute to your winnings by hitting very frequently. PLAY FOR REAL MONEY!